This colorful anatomical chart displays human pregnancy. 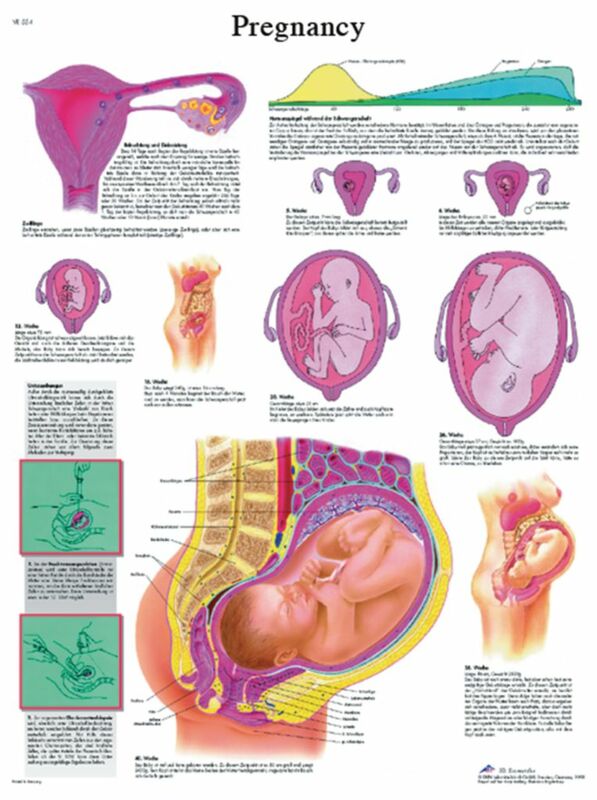 The anatomy of pregnancy is illustrated along with useful information. The anatomy poster presents different types of information about pregnancy from fetal development to pregnancy hormones.